A lot of people are interested in list building, and for good reason! Email marketing has an exceptional ROI. It is a central part of any modern digital marketing strategy. But to take advantage of email marketing and an email list, you need to get emails onto your list in the first place! 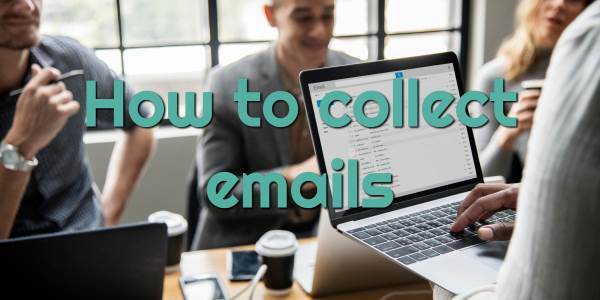 This article will explain some simple and effective ways how to collect emails. The simplest way to collect emails is with an opt-in form. You have some fields on a form and ask people to sign up to your list. You usually describe this as “subscribe to my newsletter” or “sign up here to get updates to my blog” or similar. There are a few ways to present opt-in forms to traffic. The most common way (and my favourite way) is to put them on your blog or website. There are a variety of free WordPress plugins that can put a simple opt-in form on your blog or website, assuming it is on WordPress (and if it isn’t, it should be!). You can put these forms in a header box at the top of the page, in a sidebar widget, in an in-content form (I like these), or in an infamous “lightbox” or popup. This covers the screen and forces the user to put in their email or dismiss the form. I used to use lightboxes but have moved away from them. They are quite disruptive, don’t boost your conversions by much, and Google doesn’t like them (its bots can detect them and they will incur a search engine optimisation penalty). There are also paid plugins that can provide some advanced options for opt-in forms. I personally like and use Thrive Themes. Not only does it do great opt-in forms, but it also has a hundred other features, and some really quality themes to make your site look good. This site and all its features are built with Thrive Themes. Some email service providers like GetResponse can build and host email signup forms by themselves! This can be a great start for people who don’t have a blog yet or haven’t figured out how to setup those forms. You can send and publish links to these forms. But keep in mind, they stand on their own and have no real content. That’s why I like putting the forms on my blog. Some social media platforms have the ability to capture subscriber details. Examples I can think of are Facebook and Twitter. You might want to use these if you haven’t got a blog. 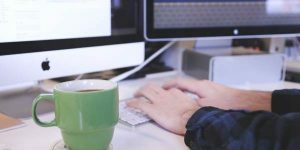 Though doing it through your email service provider might be a good idea – and you definitely need one of those if you’re going to actually email these people on your list! A better way to get people onto your list is to offer something in exchange for an email address. This can often convert a lot better than the general “subscribe to get updates / newsletter!” offer. Of course, you need something to offer them. This is usually a guide, report or ebook. It can be a PLR (Private Label Rights) book that you buy for a few dollars (PLR means you have the right to give it away or sell it yourself). But I think it’s better if you write one yourself. If you don’t like the idea of writing a book, then you can just turn a blog post into a short ebook! Or do a quick guide or checklist. It doesn’t have to be a big 40 page book or anything. In fact, it’s better if it is short and punchy and solves one particular problem. A good strategy is to have particular lead magnets for particular posts. For example, if some of the articles on your blog are about facebook ads, then you can offer a checklist on Facebook ads as a lead magnet on those particular blog pages. And if you have some articles about podcasting, then you offer your Podcasting Survival Guide as a lead magnet on those pages. Many opt-in tools will allow you to have particular forms with different lead magnets for particular pages. Another way to get email addresses is to sell or give away digital products. If you use a marketplace such as Clickbank, Warrior Plus or JVZoo, you will automatically collect email addresses when you make a sale of your own product. If building a big digital product sounds scary, then just make a small one that you sell for $1 (or maybe for free!). It can be a very cheap way to get email addresses. The big factors in how many email addresses you can collect are traffic and conversions. Traffic is how many people see your opt-in form or offer, conversions is what proportion of them decide to sign up. Getting traffic to offers is a big topic in itself, and one I’ll cover in a number of articles. There are some simple tricks to increasing conversions, though. Here are some ideas on how to increase your conversion rate on your email signup forms. A simple form is better, always. You don’t need fancy graphics and videos. Just a couple of lines of text and maybe a picture of yourself or your lead magnet is enough. You don’t need get people’s date of birth, mother’s maiden name, or anything like that. Just an email address will suffice. Some people collect first names too, since you can then programatically insert it into emails (“Hey John, check out this offer!”). But I don’t believe it makes enough of a difference for it to be worth the reduction in conversion rates you’ll get. Make sure that you have something valuable for your audience. If visitors come to your site looking for bitcoin advice, don’t offer them a guide on dog training! Even better is if you can make your offer relevant to the actual content people are consuming. If someone is reading an article about how bitcoin trading platforms work, then offering a guide comparing bitcoin platforms will go down better than a guide on forex trading or reading bitcoin charts. One interesting trick people use is a two-step opt-in (not to be confused with “double opt-in”, requiring someone to click a link in an email before they finally join a list). Two-step opt-in forms don’t actually have an email form – just a button that says “Yes sign me up” or something. If they click the button, they are then presented with a field for their email address. Most marketers confirm that these two-step forms have a better conversion rates than one-step. That is likely because someone has decided they want the lead magnet and believes they can get it just by clicking the button. They are then already committed to the magnet, so when an email field is presented, they are more likely to sign up. Can you think of any other tips on collecting emails? Please share them in the comments!